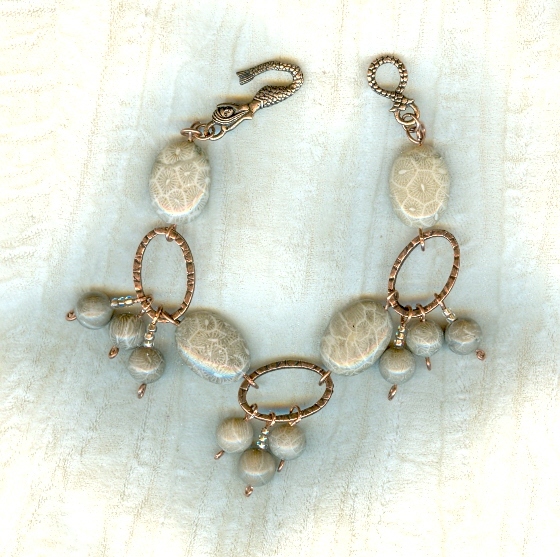 With its beachy color and anemone-shaped markings, fossil coral is the very embodiment of summer. 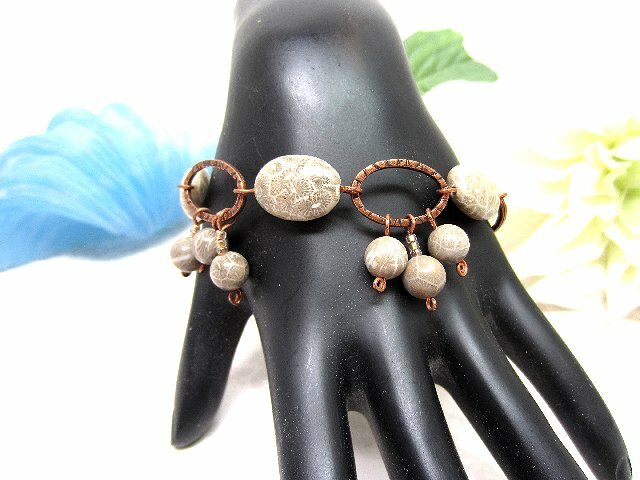 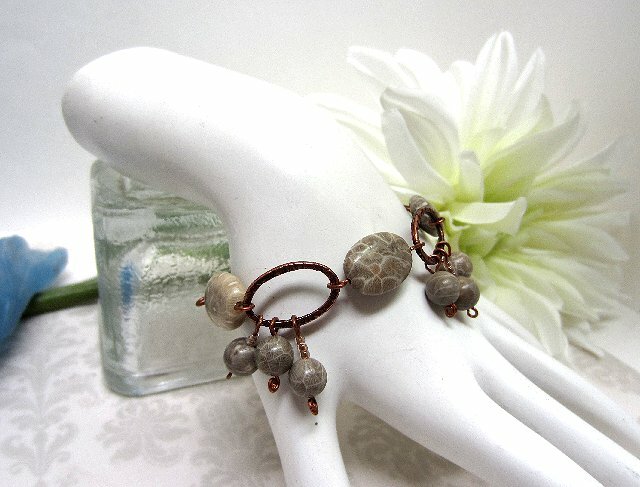 This bracelet uses graceful flat 18x12mm oval fossil coral beads, spaced with hammered copper 20x14mm oval links from which 6mm fossil coral beads are suspended. 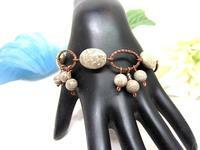 The 7-3/4" long bracelet closes with a copper mermaid hook-and-loop clasp. 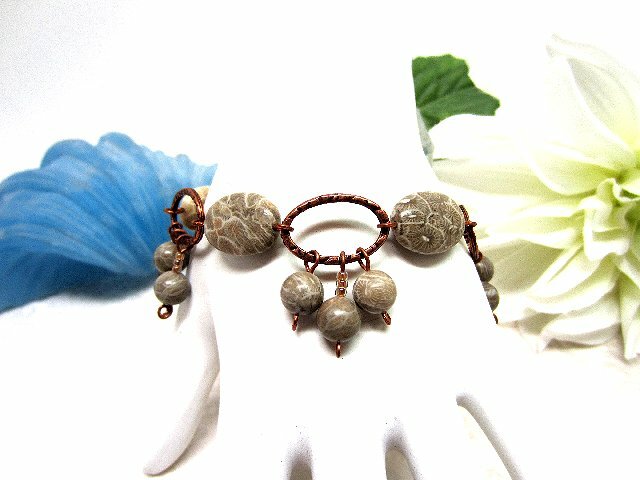 Given the size and number of beads involved, you?d expect the bracelet to be rather heavy; instead, the nature of the fossil coral makes it light as a feather. 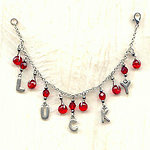 This unique and wonderful item is brought to you by SPARKLE PLENTY, of course. Charming little blossoms and leaves are wired into place on this surprisingly flexible beauty of a bracelet.